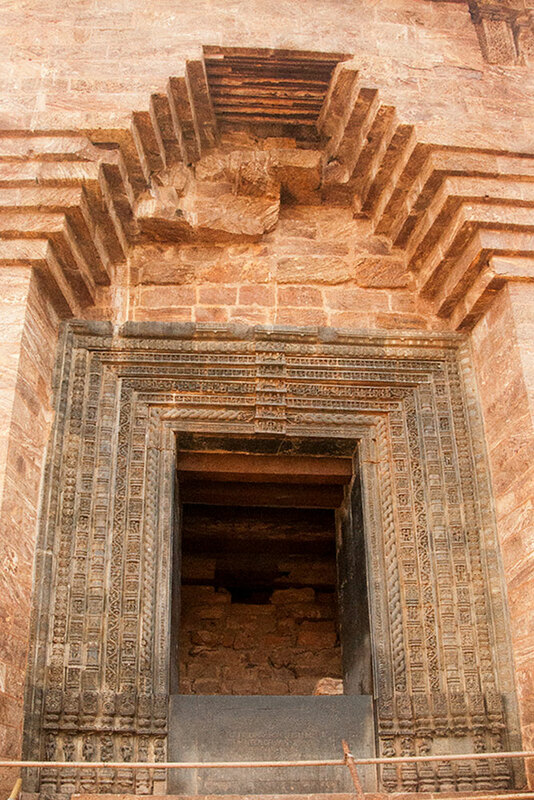 The word Konark is derived from the Sanskrit name Konarka. Konarka is a combination of two words i.e ‘Kona’ which means corner and ‘Arka’ means Sun, when these two words are combined it holds the meaning as ‘Sun of the corner’. Thus it was one of the ancient centres for worshipping Sun god in India. 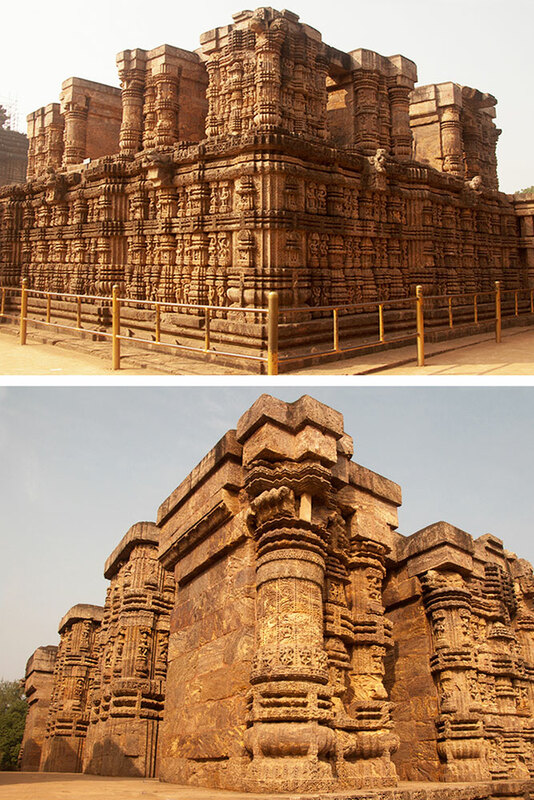 The existence of Sun temple is cited in many of the religious texts and Puranas. In Puranas the place is mentioned as Munira or Mundirasvamin, which was later replaced by the name Konarka. The present temple exhibits the strength and stability of the Ganga Empire as it was built during 13th century by the King Narasimha Dev I of the East Ganga dynasty. It was built in his royal status and prestige to commemorate his victory over Muslims. The king opted this particular place for the construction of the temple is because Narasimha dev was charmed by the beauty of the Sunrise and the roaring voice of the sea at this place since his childhood. The river Chandrabhaga flowing a mile distance at the north side of the temple was joining the sea. On the bank of this river was the towns flourishing which had its important trades carried out through the sea routes to the foreign countries. And since ancient times two Supreme deities – one mother Earth as Dharitri Maata and the other is Sun god is worshiped. Sun god is regarded as the supreme lord of the world and the chief entity of life giving energy, being the healer of diseases and the bestower of desires. Thus due to the love for this place and the devotion towards Sun god, the King chose to celebrate his triumph on the banks of the Chandrabhaga sea. However legend says, in honor to Sun god the temple was constructed by Samba, the son of Lord Krishna. And the story goes as, once samba displeasured Narada. As a revenge Samba was afflicted with leprosy by the curse. Later when Samba was found innocent he was advised to approach Sun god to cure his disease. Thus he went through the penance of twelve years in Maitreyi forest and after the prescribed period Sun god appeared before him and guided him to recite twenty-one different names of the deity. Next morning while Samba was taking bath in Chandrabhaga he sensed something was getting in contact with his hands. When it was uplifted and examined it was noticed as an image of Sun god standing on a lotus pedestal holding two lotuses in his both the hands. Thus he installed it in the temple which was built by him and worshiped the deity regularly as his disease was cured completely by sun god.